No day or week is the same. I respond daily to emails from clientele. 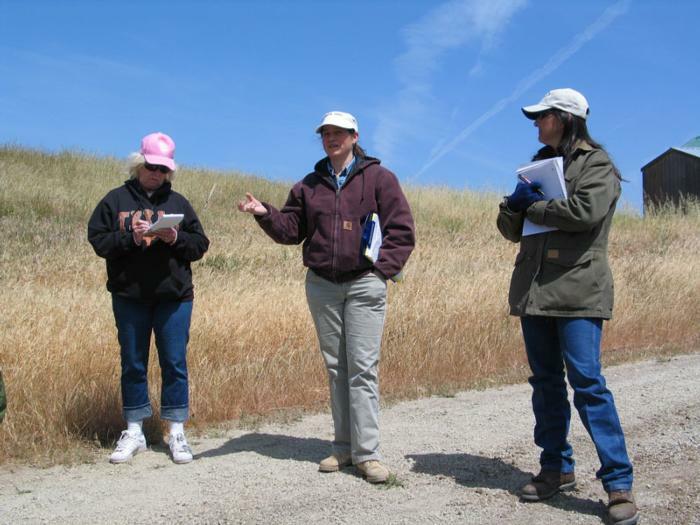 Land managers need information on leasing strategies, weed control, grazing strategies for conservation. Ranchers need information on weed control, grazing management, and forage availability. Making a difference: 1)Presented vernal pool rangeland management research findings to the California Native Plant Society; 2) Developed a grazing management plan for the San Francisco Public Utilities Commission that was accepted by the ranchers, watershed managers, AID activists, and the Commission; 3) Supported the Mid-peninsula Open Space District in their decision to reintroduce livestock grazing, with research findings and management recommendations; 4) Finalized a journal publication on using social media to understand public perceptions of grazing in parks. Working with colleagues dedicated to rangeland science and management and working with ranchers and land managers who are passionate about keeping ranching viable and rangelands working. I grew up in Mission Viejo, California, and participated in vocational agriculture because of the Future Farmers program supported by Mission Viejo Ranch. I went on to study beef cattle science and rangeland management at UC Davis and then Texas A&M University. I was drawn to Extension because of the opportunity to conduct applied research on rangeland management and the opportunity for outreach to producers. I started in Extension in Pueblo, Colorado, but took the first opportunity to work with Extension in California.